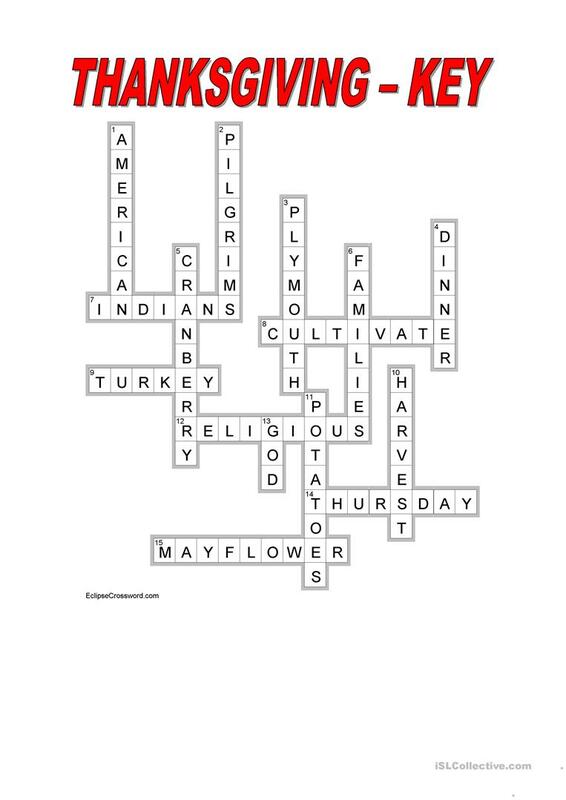 Teach your students about Thanksgiving with the help of this crossword. 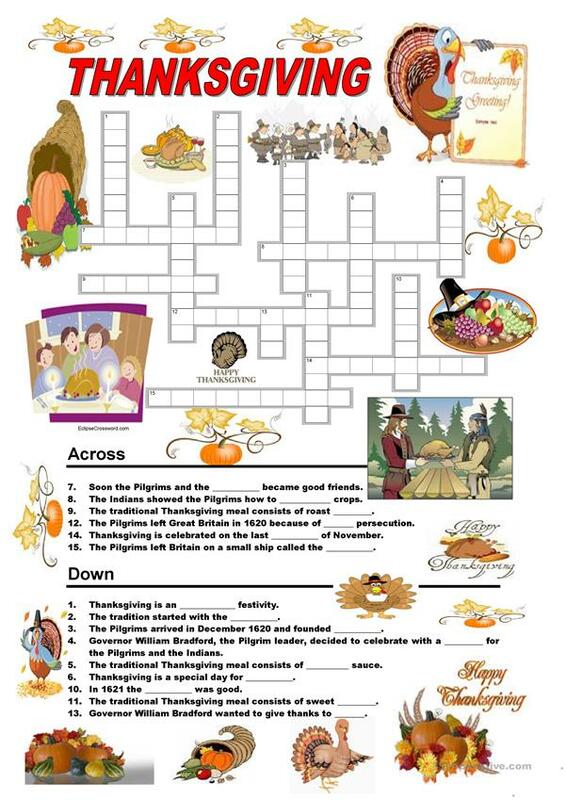 The above downloadable teaching material is best suited for high school students and elementary school students at Pre-intermediate (A2) level. It is a valuable material for enhancing your pupils' Reading skills. It is focused on the topic and words of Thanksgiving. You will find the answers at the end of the worksheet. ildibildi is from/lives in Hungary and has been a member of iSLCollective since 2009-10-07 18:00:59. ildibildi last logged in on 2012-02-07 11:00:33, and has shared 5 resources on iSLCollective so far.